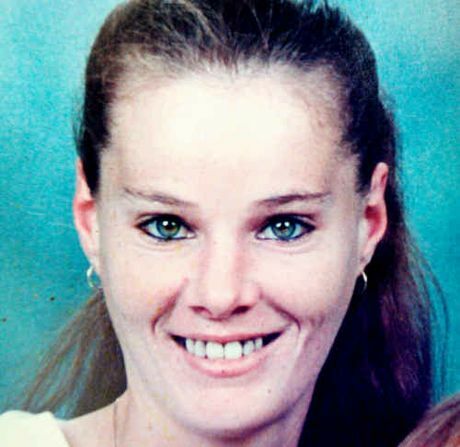 WHAT happened to an Ipswich mother the night she went missing more than three years ago will likely remain a mystery. But her tragic story will cycle on as another generation is forced permanently into the foster care system like she was. Dulcie Birt was raised in care, had her first son as a teenager and had intermittent drug problems throughout her 31 years. She left behind three sons when she got into a car with Alwyn John Gwilliams, 43, on October 21, 2009. Ms Birt had known Gwilliams for about 15 years. She became his mistress a few months before her death. Gwilliams pleaded guilty in Brisbane Supreme Court on Wednesday to her manslaughter and later interfering with her body. Justice John Byrne will sentence Gwilliams on a date to be fixed, likely between eight and 11 years. Gwilliams claims Ms Birt snapped her neck when he crashed while drink-driving in bushland near Riverview, and that he tried to resuscitate her. Gwilliams, a man with a violent criminal history from a family with no faith in police, claims he decided to dump her body at Jacobs Well because police would never believe she had died in an accident. Crown prosecutor Vicki Lowry said Ms Birt's body had never been found and her true cause of death might never be known. She said the Crown had accepted the manslaughter plea, but did not accept the version Gwilliams put forward. Ms Lowry told the court police found no sign of a crash in the bushland and no forensic evidence suggesting Ms Birt died during a crash in Gwilliams's ute. She said Gwilliams told his mother he had killed Ms Birt questioned why he told another family member he needed to burn his car if there was not a more sinister explanation for her disappearance. Ms Lowry said Gwilliams had repeatedly lied during the police investigation and it was more likely Ms Birt died from an assault and her body was buried. She said police had drained a nearby lake and searched other waterways but all efforts to find her body had failed. "He is a man who resorts to violence from time to time," she said. "He had nothing to fear from going to the police if this was indeed a traffic accident. "There would have been evidence, a body of evidence, that supported that account." When Gwilliams killed Ms Birt, he had not long finished a lengthy jail sentence for a "savage and brutal" assault on a different woman he was in a relationship with. He took her to a quarry at night, ripped her dress from her body and beat her. He hit, kicked and threatened to kill her. Gwilliams had two other assault convictions on his criminal history too. Defence barrister Simon Lewis said his client was well-known to police and had an unenviable reputation. He said "distinct, clear and rational thought" could not be attributed to a man in his position. Mr Lewis said his client admitted he had lied throughout the police investigation but maintained his final version was the truth. He said if an assault did occur then "it could be as simple as pushing her over and hitting her head". Mr Lewis said they would never know but his client should get the benefit of the doubt in case it was not something more sinister.